It is common ritual that we wish to start afresh at the beginning of a all new year. Most of investment bankers and brokers are coming out with their own list. While sifting these reports, One list published by Outlook Business magazine looks sensible. Though the stocks appears to be good, do invest in multiple chunks in dips. For rationale, please do read Outlook Business Special issue dated January 4, 2014. Stocks are listed as such not by any ranking. Forwards Market Commission (FMC) has decided that there shall be no trading in non-agricultural commodities futures on Saturdays starting September 21st 2013.Trading in agricultural commodities presently available for trading will continue on all Saturdays between 10:00 am and 2:00 pm. India Infoline Finance Limited is proposed to issue secured “ Non Convertible Debentures” with an option of monthly and annual interest payment and the yield works out to 12.68% p.a. for the monthly interest option. The face value of each NCD is Rs 1,000 and minimum application is Rs 5,000 or five NCDs. The NCDs have an investment maturity tenure of three years and five years. For someone in the highest tax bracket, the 12% coupon rate works out to approximately 8.4% post-tax. The post tax return for an investor in the 20% tax bracket is around 9.6% and it is 10.8% for someone in the 10% tax bracket. It has a “Care AA” rating from CARE. Those wish to lock the fund for 3-5 years for a post tax yield of 8.4% per annum can invest. No TDS, if the debentures are held in demat. Minimum investment required is Rs.5000 (5 bonds). 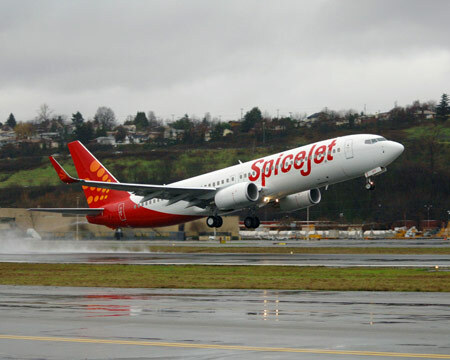 Surat, Jammu, Srinagar, Guwahati, Saligramam, Tambaram, Aminjikarai, Madurai, Tirunelveli City, Trichy, Thanjavur, Coimbatore, Amritsar, Jalandhar1- Eminent Mall, Jalandhar2- Aman’s Plaza and at Hoshiarpur. Online Payment System is already applicable at Dehradun, Chandigarh, Ambala, Ludhiana and Vizag PSKs. With the establishment of Passport Seva Kendras, MEA has taken assertive steps to deliver passport services to citizens in a timely, transparent, more accessible and reliable manner. Banking of State Bank of India. Applicants can also use the Challan option provided on the website and deposit the money in State Bank of India (SBI) branch after generating Challan online. In such cases, upon the confirmation of payment receipt by SBI in online system, applicants can take appointment. Further, instead of applicant choosing the date and time slot of appointment, system will automatically give earliest available appointment. passport issuance system across India through an increased network of 77 PSKs. Several Axis Bank accounts were hacked during April and May. The cyber fraudsters had withdrawn Rs 13 lakh from these 29 bank accounts which had been hacked. Police claimed that the debit cards have been cloned and the withdrawal done in Greece, adding that an FIR will be lodged soon in this connection. Advaniji's resignation announcement overshadows today's equally important news. One among them is Yes Bank director election. YES Bank's rejection in 2009 for its board the candidature of a double-graduate in economics and biology, a masters in business administration, with deal making experience at Rabo and ICICI Venture Funds, was simply atrocious . "In case of a listed bank where a family has a large holding , it is best to sit together and sort out the issues in case of any disagreements between the family members as going to the court will not help anyone,'' said Deepak Parekh, chairman of Housing Development Finance Corp and an elder statesman of Indian finance in the Economic Times. It further adds that the bank did not respond to questions whether Gogia was interviewed, or whether the board communicated to her that she may face regulatory obstacles. Shagun and her mother Madhu declined to speak too. Ashok Kapur's family, now headed by his wife Madhu Kapur after he was killed in the November 2008 terrorist attack in Mumbai's Oberoi Hotel, wants the family to be at least consulted on the nomination of directors though they still believe Shagun is qualified to be a director. Shagun, a student of Lawrence School in Sanawar, has graduated in economics and biology from Tufts University, Boston. She went on to secure a post graduation in management from the Indian School of Business, Hyderabad that helped her set foot in the world of finance as an executive at Rabo Finance and secure a position at ICICI Venture Funds Management, the nation's largest private equity fund. Shagun now runs her private equity fund Tuscan Ventures Pvt. Ltd.
"Three resolutions pertaining to the appointment of Diwan Arun Nanda, Ravish Chopra and M R Srinivasan, whose appointments were earlier approved by the board, were put to vote following request by a shareholder.."Overall 57 per cent of the total shareholder ownership votes were polled, and the general body of the shareholders passed all the three resolutions with an overwhelming majority of about 80 per cent and elected all the three aforesaid directors," the city-based bank said in a statement. It was alleged that votes of many shareholders who were neither present, nor sent proxies, were found during the counting. The voting was open for too long for the management to bring in many executives with employee stock options to tilt scales in its favour. Madhu Kapur holds 12% of the bank, while Rana Kapoor owns 13.7%. Today the Bombay High Court has directed YES BankBSE to consider an appointment of Sagun Gogia as the director on the board .Business Standard reports that" a source indicated that the disagreement between the promoters is primarily over the right to nominate directors on the board of the bank". "Whether or not Shagun should be appointed is secondary. As per the articles of association, the family of Ashok Kapur has the right to nominate directors on the bank's board. That right needs to be protected," the person said adding that the dispute could be resolved if the bank allows Madhu Kapur to nominate directors.Another person also confirmed that both the parties were in favour of an out-of-court settlement. "Both the groups need to reach an agreement but I am confident that it is possible," the source said. Let's hope, the wisdom prevails . Yes Bank is one the promising private sector banks growing at a healthy rate. It is a darling of almost all the Stock research Firms and recently increased its retail business significantly by announcing innovative interest rates. But for the past few days , the company is in the News for wrong reasons. The difference of opinion between promoter families on the appointment of three directors to the board came to open and the matter is in the court. 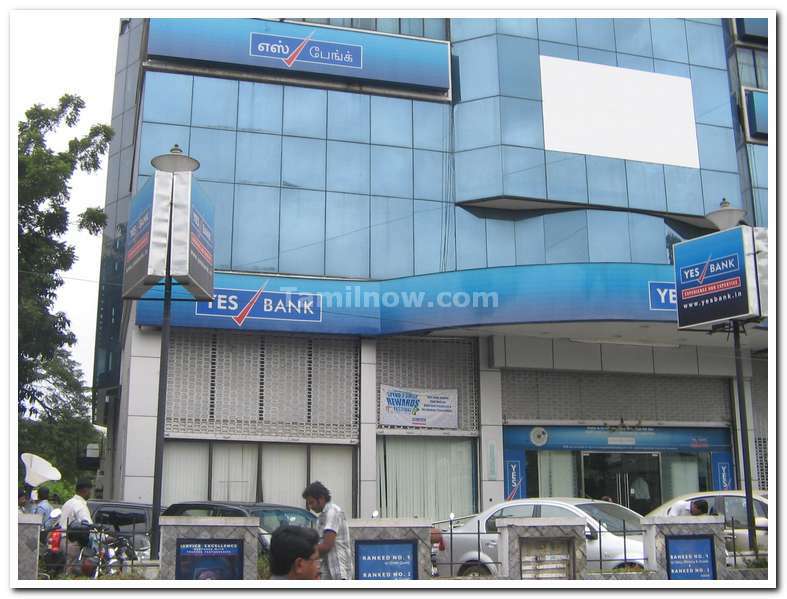 Yes bank was co-founded by Late Shri. Ashok Kapur and present Managing Director and CEO, Rana Kapoor (brother-in-laws). Ashok Kapur, non-executive chairman of private sector lender Yes Bank, was killed by terrorists in the Trident-Oberoi hotel complex in 26/11 Mumbai Terrorist attack and Rana Kapoor continue to run the show. “On October 27, 2012, in a filing to the BSE, YES Bank had said that it was appointing Ravish Chopra, Diwan Arun Nanda and M.R. Srinivasan as additional directors. While Rana Kapoor holds 13.72 per cent in the bank, Madhu Kapur holds 12 per cent that she got after Ashok Kapur’s death in the 26/11 Mumbai terror attacks. The Madhu Kapur family, which has no nominee on the board, argued that according to the bank’s Articles of Association, it must be consulted before the appointment of whole-time directors. According to the Bombay HC order, senior counsel Birendra Saraf, representing Madhu Ashok Kapur, said the main grievance of the plaintiffs was that they had not been consulted by Rana Kapoor and, in fact, the names of the three individuals were recommended by Kapoor for the director’s post without concurrence of the plaintiffs. After Saturday’s AGM, Shagun declined to comment stating that the High Court had barred her from speaking to the press. But an associate of Shagun, who declined to be named, said it is for the RBI to decide if she meets the “fit-and-proper” criteria. “YES Bank cannot make unilateral judgments,” the associate said.The matter will come up again for hearing on Monday at the Bombay High Court.The management declined to comment, pending the outcome of the voting. It only said the result would be made public in the next 48 hours. We believe Yes bank is having very high potential. Both the founding families should have a say on important board appointments. They should have appointed Ms.Shagun Gogia as one of the directors and let the RBI decide on her eligibility. For the best interest of all concerned including minority shareholders, resolve the issues quickly and amicably. Meditation is good to your mind and body. There are several methods of meditation available. Whatever may be your method, you should be in worry free state to get full benefit. One of the main worries of a Meditator, is timing of different stages of meditation. You need good timer with alarm to indicate different stages of meditation. As each practice need different interval alarms and differentiating sounds, a good timer should be flexible and function rich. Though I tried two different Apps Zen Time and Insight Timer, I find Insight Timer is slightly superior and highly flexible. - Recorded with high quality digital audio equipment at a famous meditation center, these new bell samples are amazing. Crystal clear with extra long fade outs. They sound great with the built-in speaker, but to get the full effect, try using headphones or external speakers. - Choose from seven different bells of varying size and metal compositions - from bright and clean to deep and complex with lovely overtones. A wood block sound is also included. 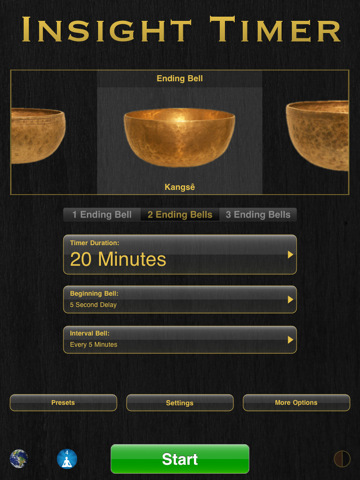 - Bells can be configured to ring at the start, the end, and at specified times during your session. Each bell can be set to ring once, twice or three times. The delay between strikes is configurable from 1 to 20 seconds. - Powerful logging and statistics features allow you to track your progress over time. Multiple charts, a complete session log and helpful statistics give you a complete picture of how your practice is evolving. - Presets allow you to save an unlimited number of configurations and assign names to them. If you have multiple meditation routines (such as Morning and Evening), this makes it easy to switch between them without any configuration changes. - You may set a background image from your own photo album. While the timer is running, your image is shown full screen. Optionally, the time display and controls can be hidden so that they are shown only when the image is tapped. - Meditation Journal: You may enter notes about each session when the timer ends - a practice that many people find to be helpful and therapeutic. Your journal entries can be exported via an email attachment. Journal access may be password protected to ensure privacy. - Insight Timer is geared toward meditation, but it also works great for yoga, Reiki, exercise or any other activity that you wish to time. - Pause and resume your timer session. - Optionally vibrate with or instead of bells. Both Free and Paid versions are available in the Google Play. Brokerage firm Zerodha explains the new STT and CTT rates..
STT stands for Securities Transaction Tax and this was first introduced in 2004 by the FM P. Chidambaram. This was the same year when the FM waived off any long term capital gain tax, which basically meant that if you bought and held a stock for more than 1 year and if you sold it at a profit there would be no tax on this profit. The intent behind waiving off was to encourage people to invest into equities for long term. It also would have meant as a revenue loss for the government and STT was introduced to make up for this loss. For equity delivery based: 0.1% of the turnover on both buy and sell sides. For equity intraday: 0.025% of the selling side turnover. For futures and options: 0.017% on the selling side turnover. India is one of the few countries in the world where you have to pay a tax on trading the markets even before you make profits. Over the last few years brokers/traders kept representing this case and finally in this budget - February 2013, the rates on futures were reduced which is in effect from June 1, 2013. Please note that only the rates of futures trading has been reduced and the rates for trading equity - delivery/intraday and options trading remains the same. STT for Futures (stock and index) from June 1, 2013 is 0.01% of the selling side turnover. STT on Options and Stocks remain the same as mentioned above. If you trade ETFs STT earlier was 0.1% on buy and sell turnover. The new STT rates from June 1, 2013 for ETFs is Zero on buying side and 0.001% on the selling side. The cost of trading ETFs will drop drastically especially since you trade at Zerodha. To know more about ETFs click here. This is applicable to all contracts on NSE, BSE and MCX-SX. *Please note that there is no STT presently for trading currency futures and options. CTT stands for Commodity Transaction Tax and has been introduced only in this budget February - 2013. This tax has been introduced most likely for making up for the revenue loss to the government which it will make by reducing the STT for equity futures as mentioned above. CTT is 0.01% on the selling side turnover for trading all non-agri commodities like Gold, Silver, Crude, Zinc, Copper, Aluminium, Lead, Natural Gas, Nickel, etc... All the agricultural commodities will continue to have Zero CTT. Comptroller and Auditor General Vinod Rai, who retired on Wednesday, will be remembered for turning his office into a watchdog of good governance and administrative integrity at a time when India is experiencing the need for greater transparency . Though we dispute the loss figures in his reports, we can’t question his integrity and boldness. We wish him a happy and peaceful retired life.